Apple’s annual iPhone new product launch conference will be held soon. Anyone familiar with the rules of Apple’s mobile phone product release knows that it is basically concentrated in September. According to the media, this year’s iPhone will have three versions, the new 5.8-inch iPhone XS, the 6.5-inch iPhone XS Plus and the 6.1-inch LCD screen iPhone 2018. CaseMe mobile phone accessories manufacturers have released their related accessories, let’s take a look. This is a detachable wallet phone case that supports 14 credit cards, has a zipper and a wristband, and the information on the website shows that it is the same size as the iPhone X wallet case. Thanks to its magnetic case, you won’t be able to wirelessly charge in this case, but you can do anything else – if this versatility is important to you, the $27 CaseMe case is worth it. 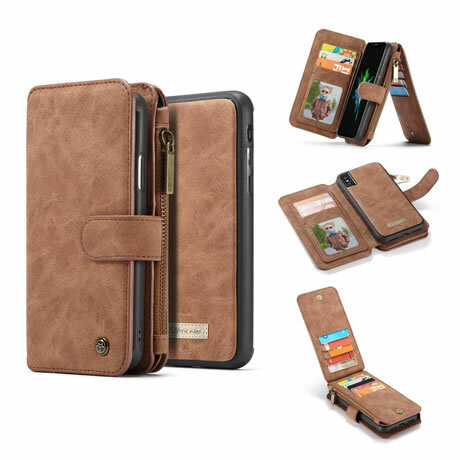 This is the same style as the iPhone XS Wallet Case above, except that it is 6.5 inches, there is no difference in other aspects. If you like a simple and beautiful wallet case, this is worth having.